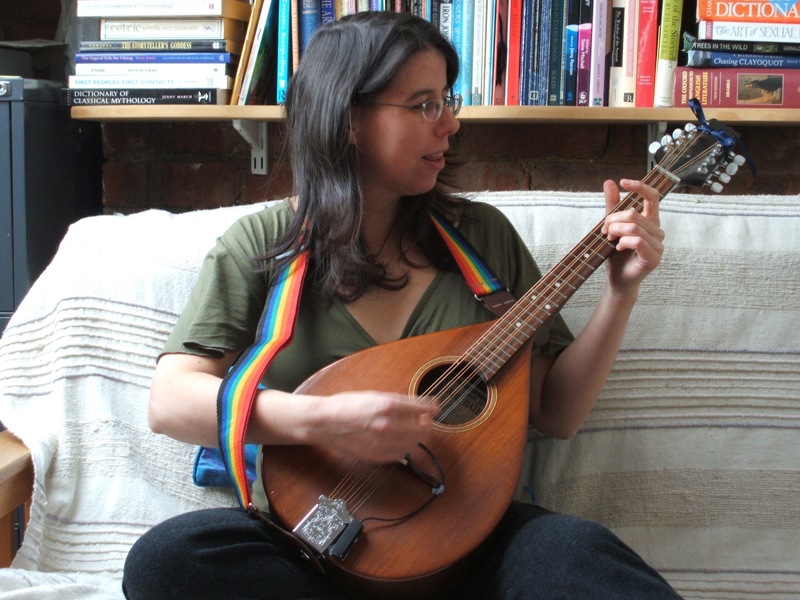 I am a singer-songwriter and fiddle player, happiest improvising or playing folk music. Over the last 13 years I have been in a steady musical partnership with a band Kismet, although I recently had a very exciting fling with some amazing acting improvisers for a show in Battersea Arts Centre: Permission Improbable. In 2003 I released a solo album, She Is Gold. Click the play button below for a listen to the title track. She is Gold is available to buy from my shop.